Your student will be strong on fractions with this worksheet! 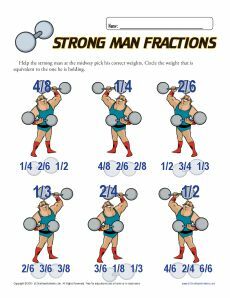 He'll determine which fractions are equivalent to the carnival strong man's weights. It's a fun way to practice Common Core Standards for 3rd grade Number and Operations. It also may be helpful for other students.